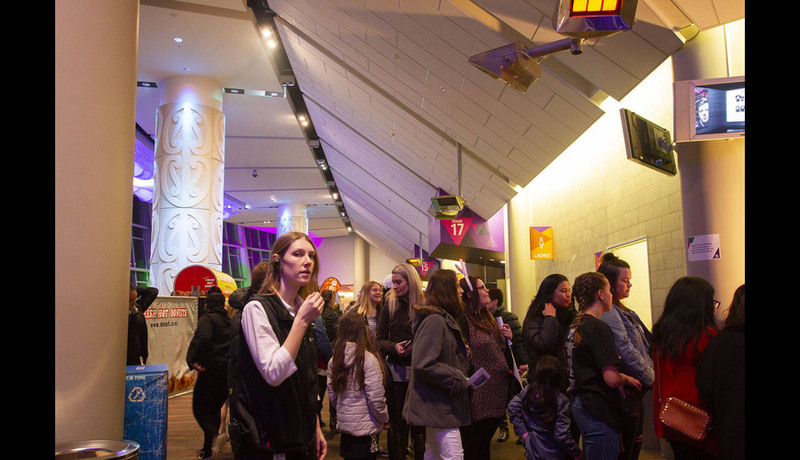 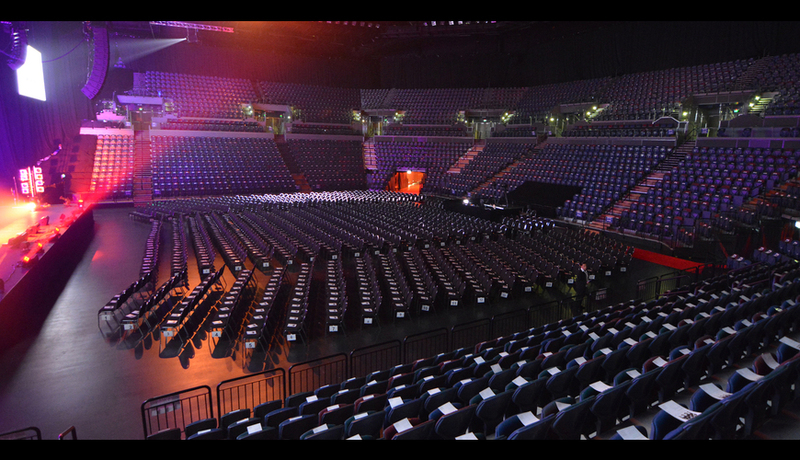 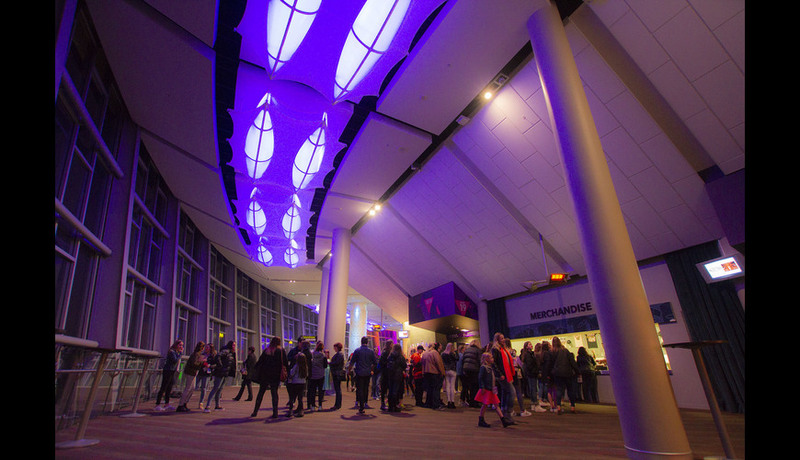 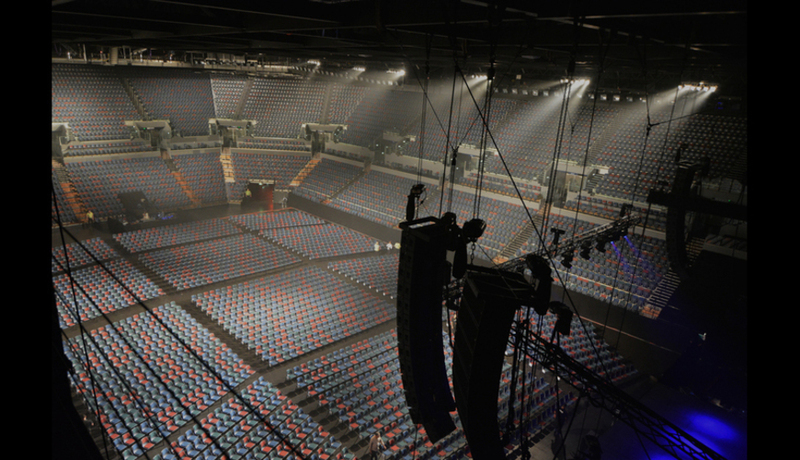 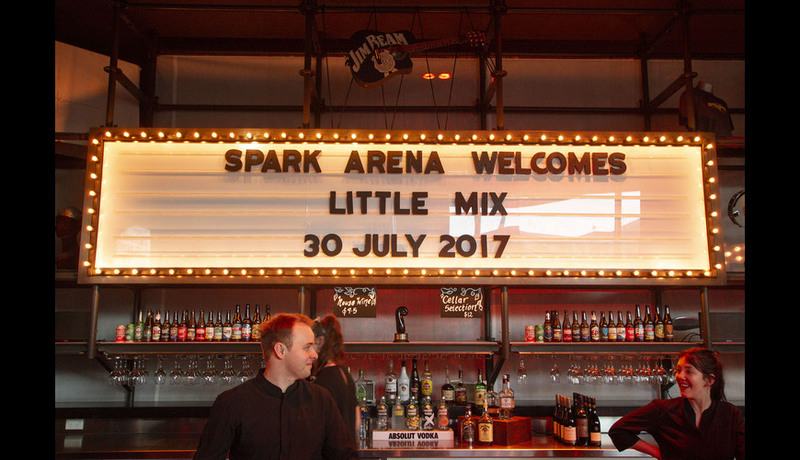 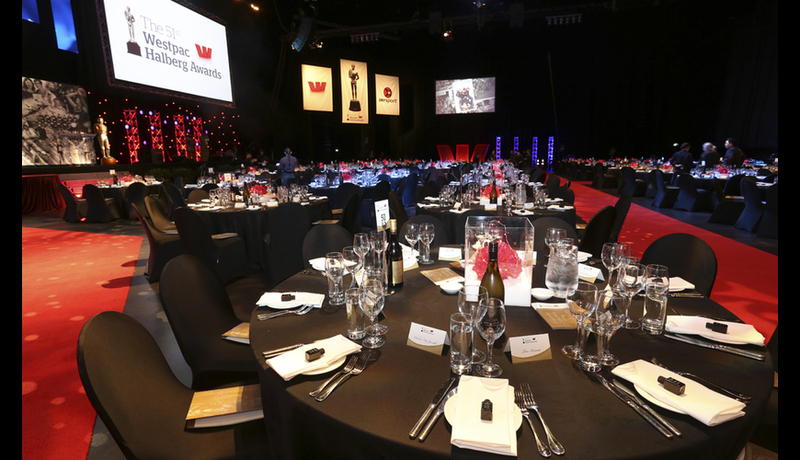 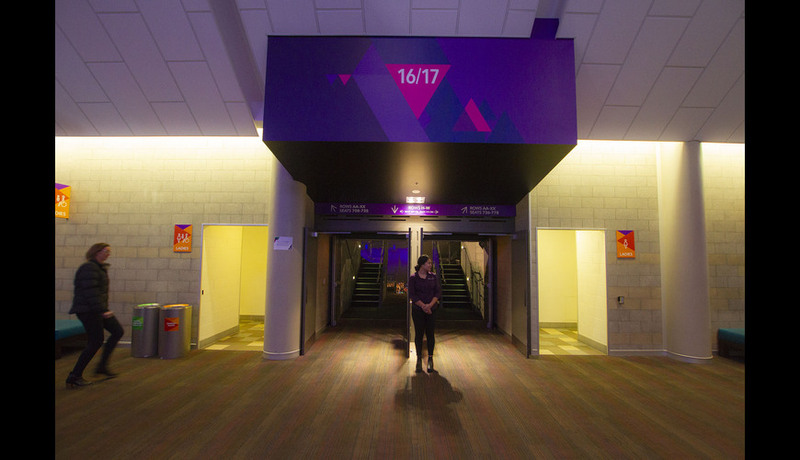 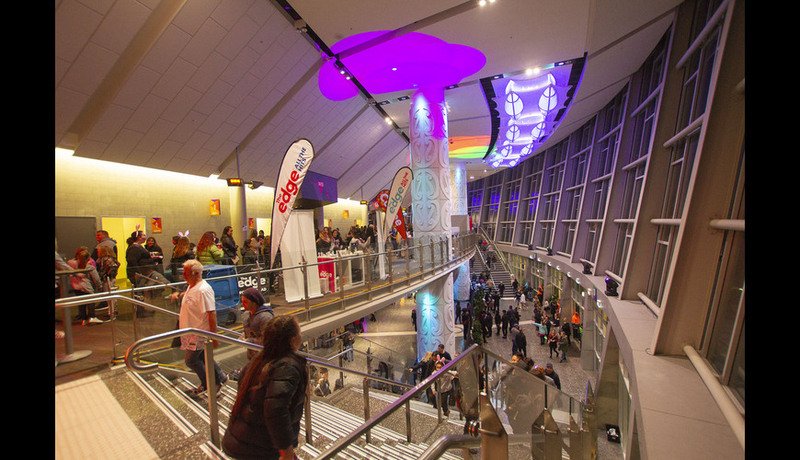 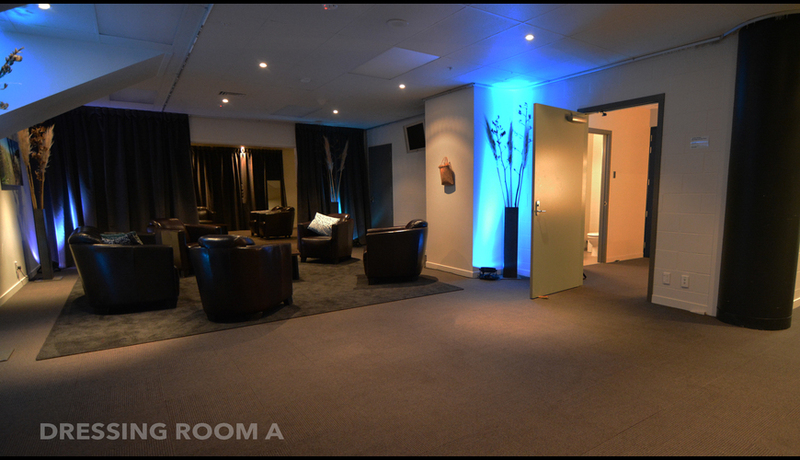 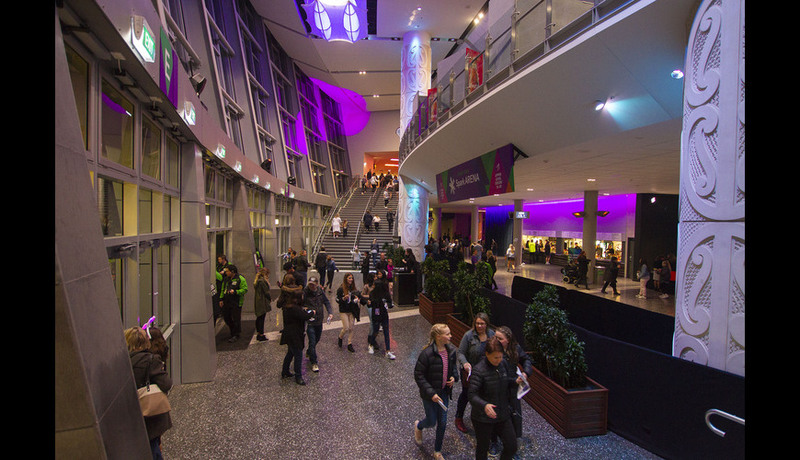 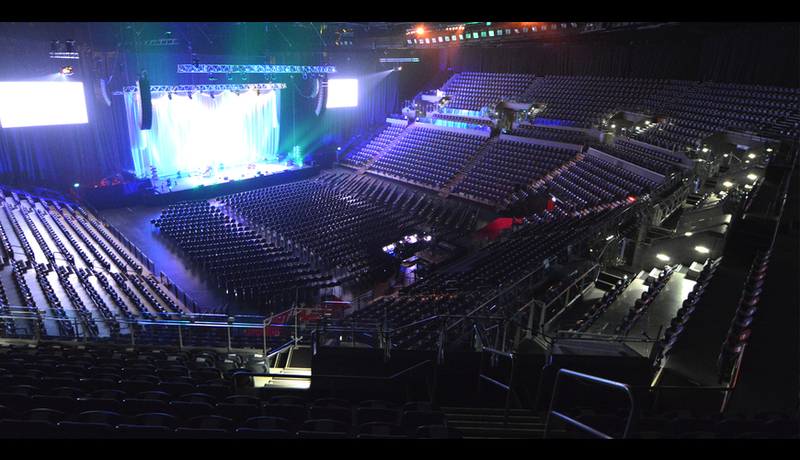 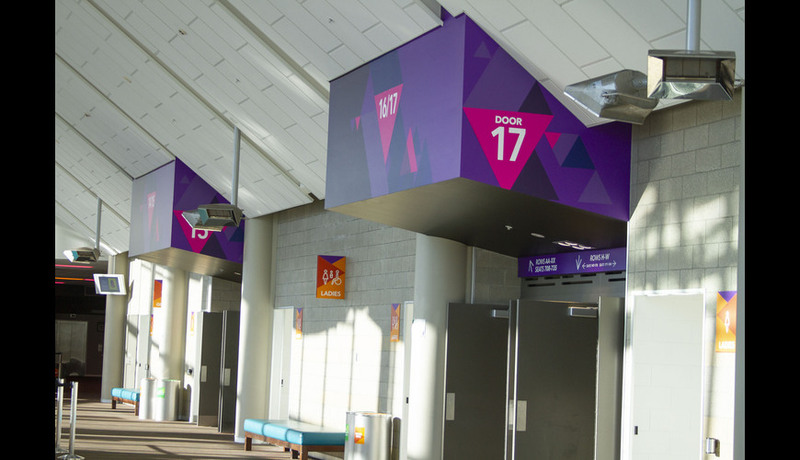 So much more than the arena "bowl", we have a number of versatile spaces which may be adapted to your specific needs, from private VIP rooms to small event suites and foyer spaces. 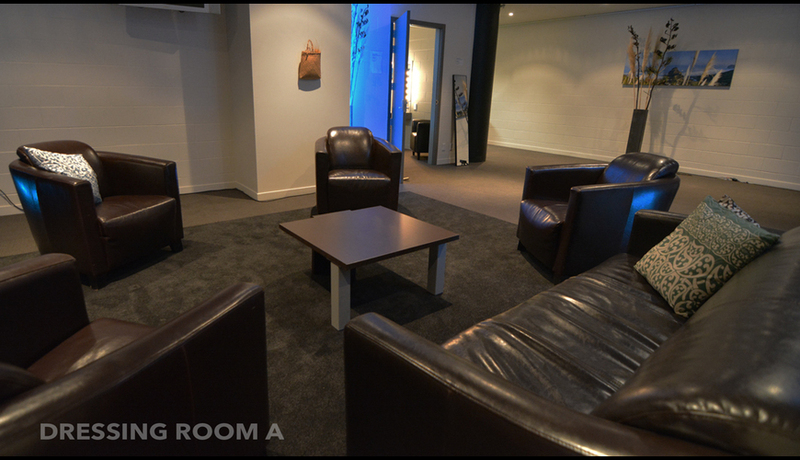 Available as breakout rooms from the main event, or as hire in their own right, we welcome your enquiry, and are happy to help you customise the spaces for your own event. 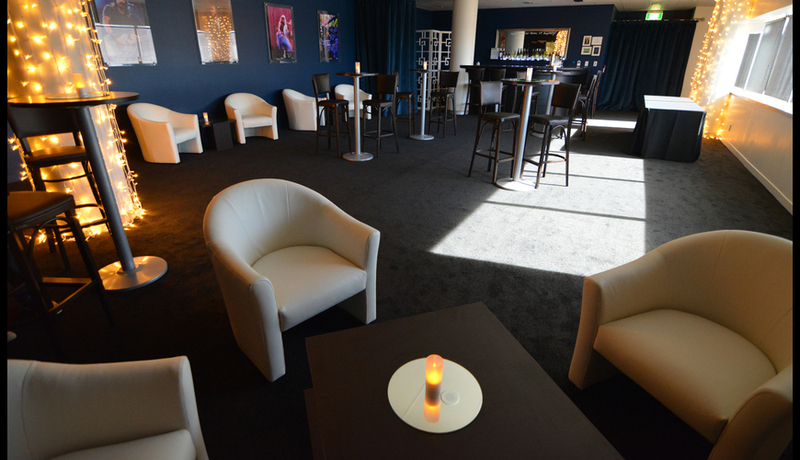 VIP 1 is a large, very private space on our plaza level which holds up to 50 people in a cocktail setting. 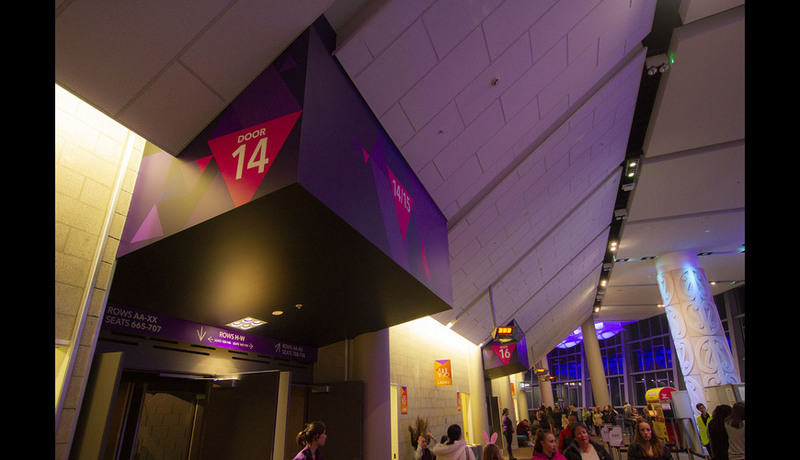 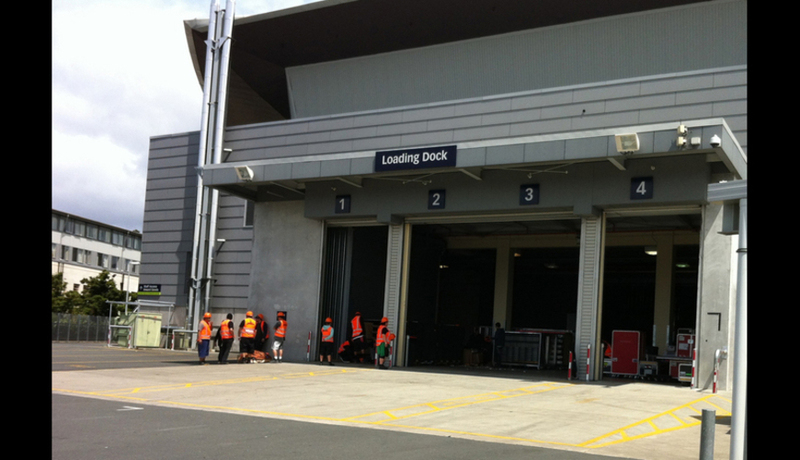 It is accessed direct from the outside plaza area via its own private entry, Door A. 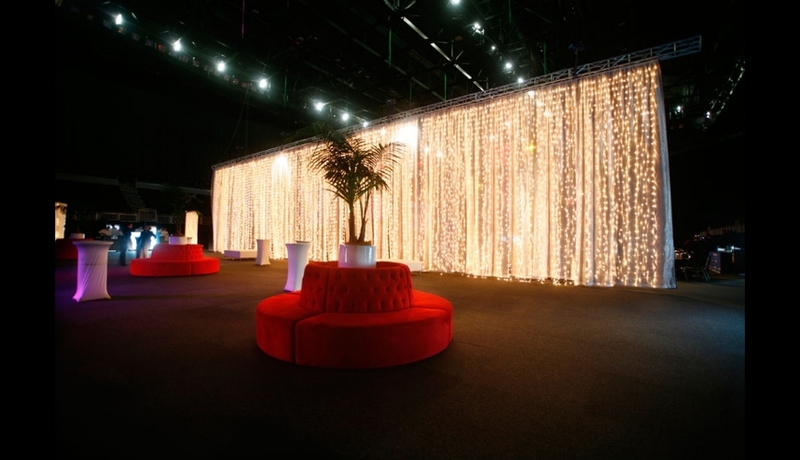 We can even roll out the red carpet if you wish! 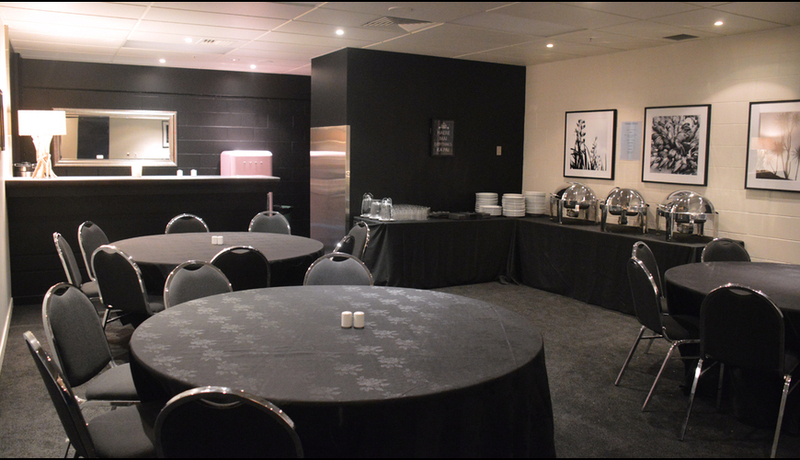 This spacious suite has a large bar and catering area with plenty of space for buffet tables if required. 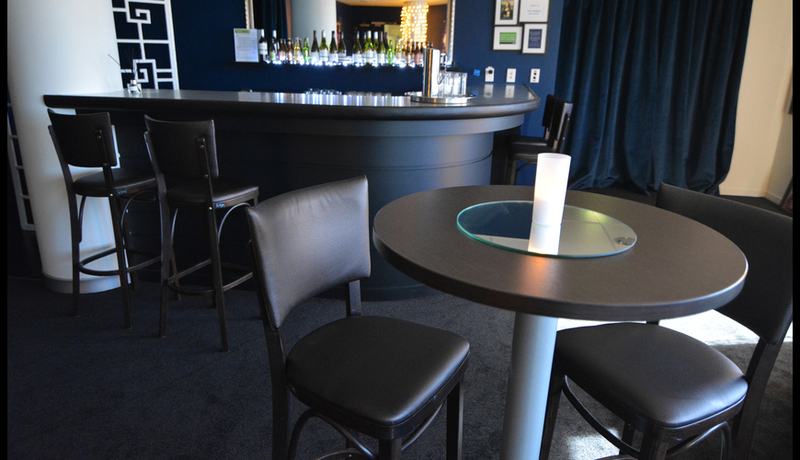 Bar leaners and stools make for cosy social seating for your guests, and there's also a comfy lounging area complete with 42-inch plasma TV and DVD player for those who prefer to show a movie, or perhaps music videos. 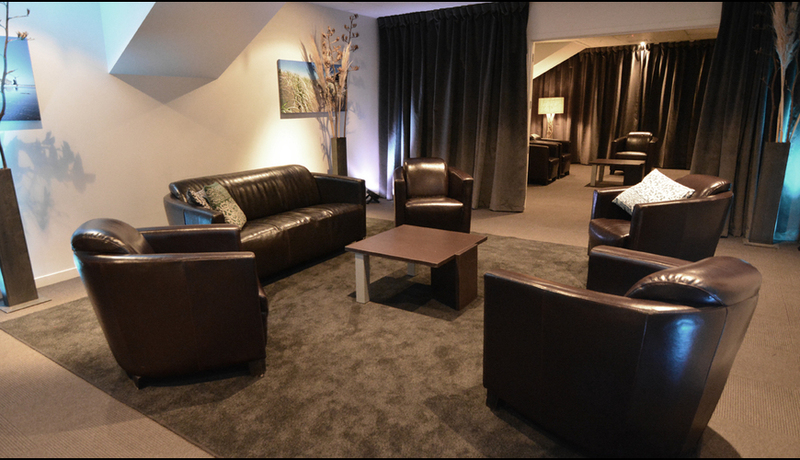 The in-room sound system can play radio or CDs from our central system, or you can bring in your own MP3 player to plug in, and set the mood for your clients. 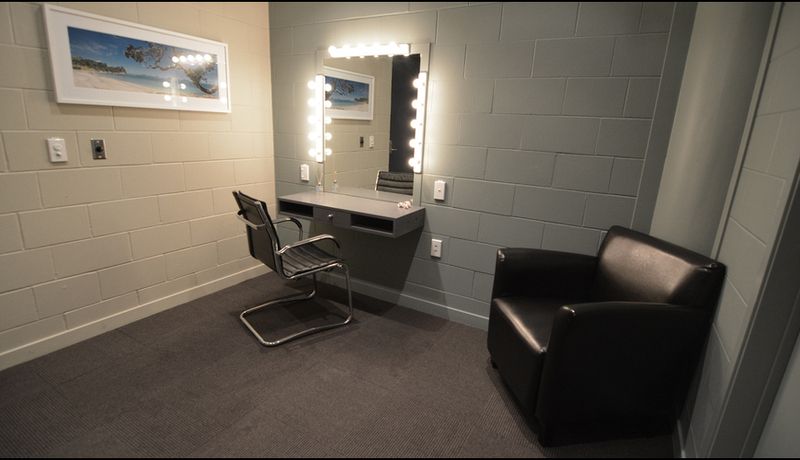 A private bathroom within the suite ensures that guests never need leave the confines of your area until it's show time, but additional bathroom facilities are located close by if required. 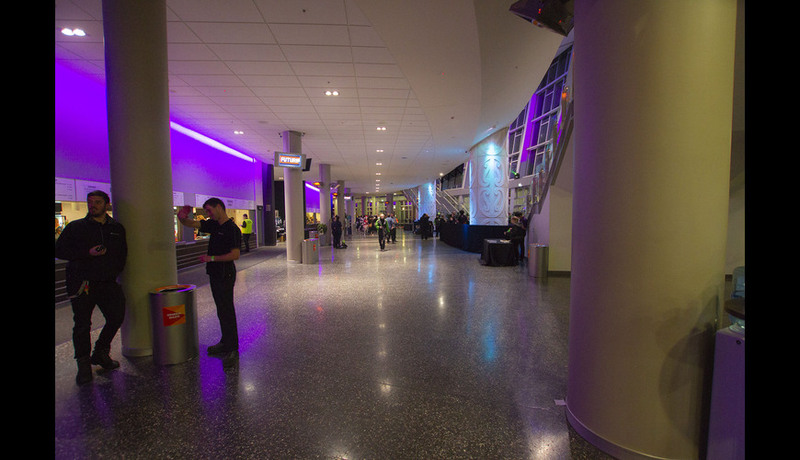 This suite also offers the closest access to the buildings elevator, for easy access to and from your seats. 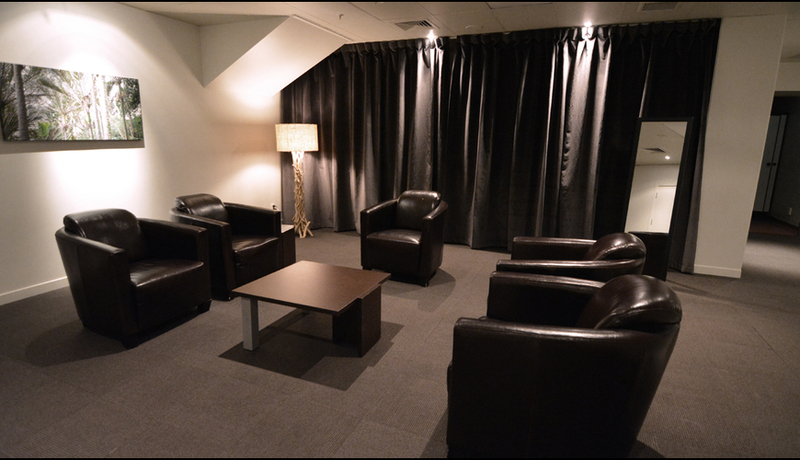 VIP 2 & VIP 3 are our two intimate private bar spaces, one at the North side of the Atrium, and one mirroring it on the South side. 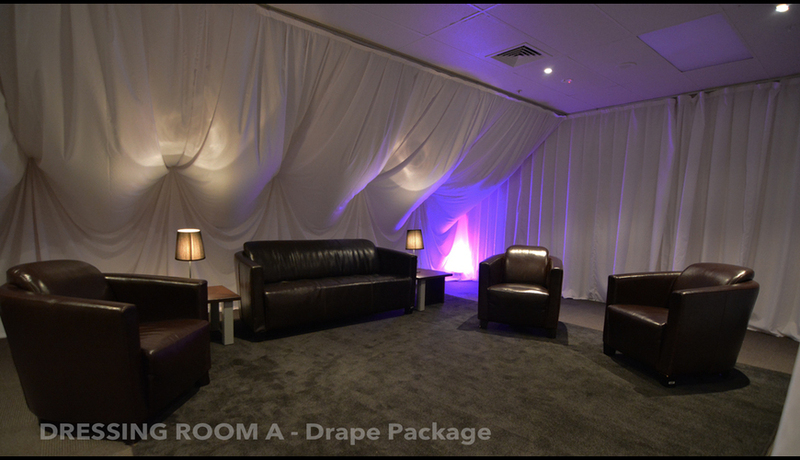 They are directly accessed from the ground floor foyer, where the entrance is hidden by our blue velvet drapes, and vinyl upholstered screens. 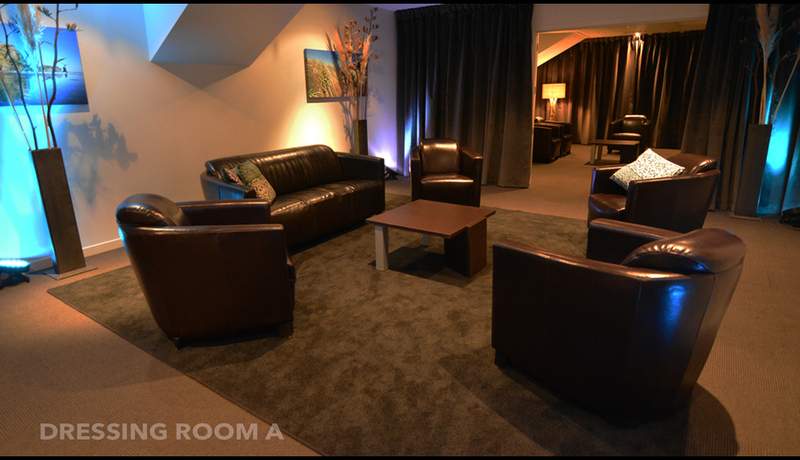 Use of either of these suites includes private entry through Door B on our front plaza. 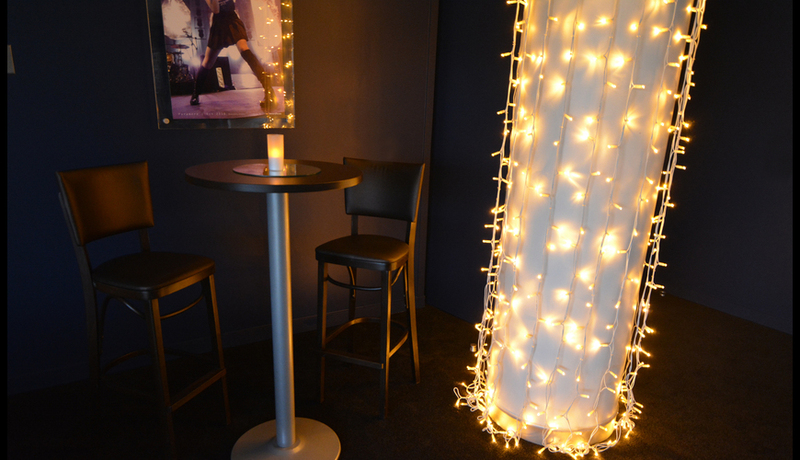 Each of these intimate spaces holds 30 people for cocktails, creating a perfect atmosphere for a smaller group. 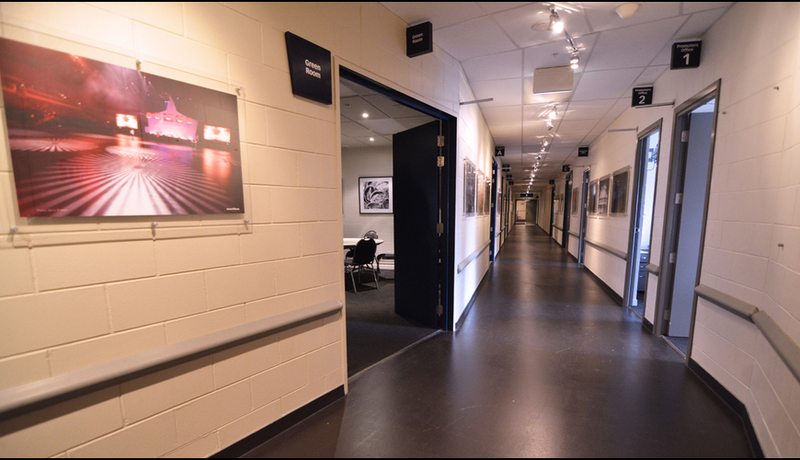 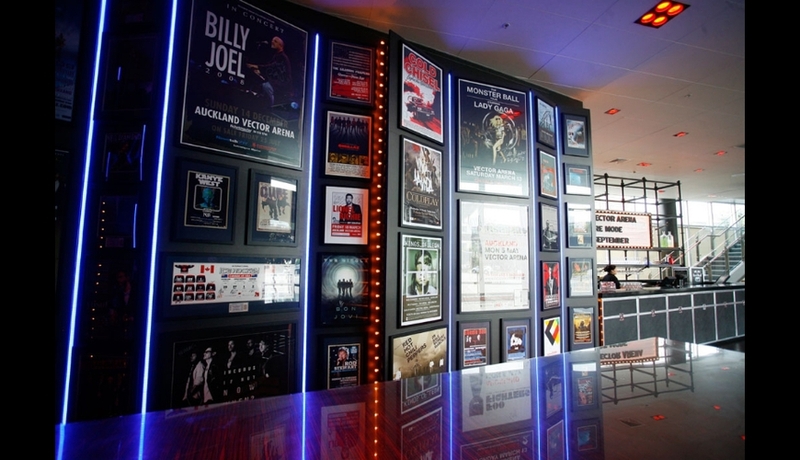 Both rooms feature a private bathroom and a bar and are decorated in eclectic style featuring memorabilia from past shows at the arena. 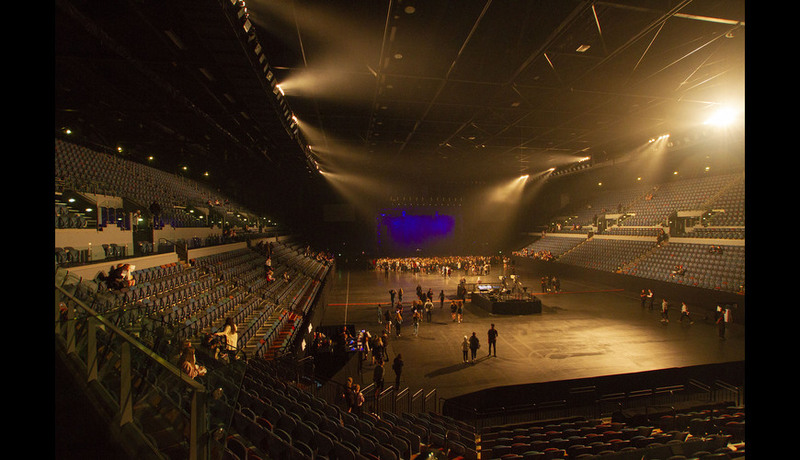 VIP 2 is pale and ethereal, VIP 3 is an assertive red with more of a rock feel to it. 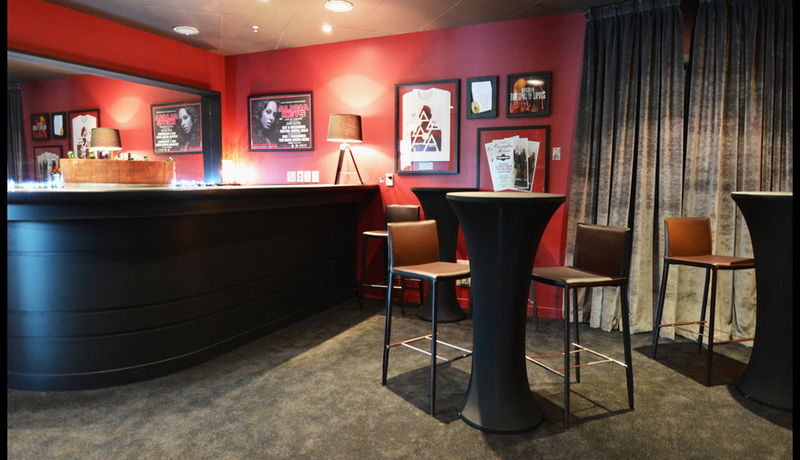 Furniture includes bar leaners, bar stools and ottomans. 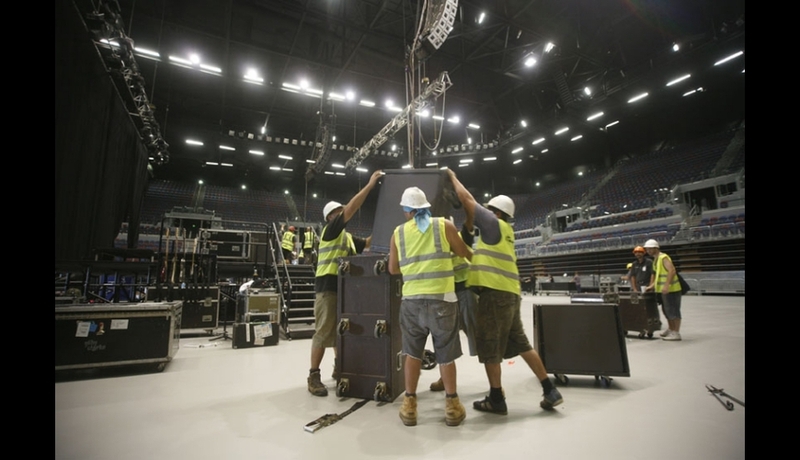 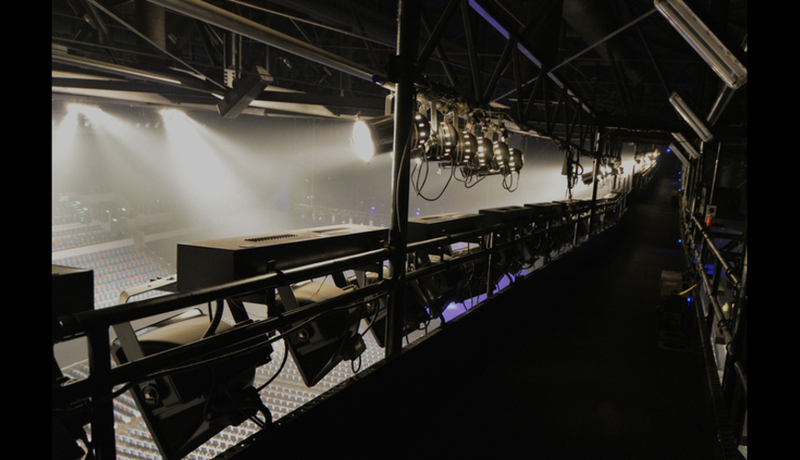 Lighting is intimate, and clients have the choice of sound systems, from using Spotify, CDs, radio or their own MP3 player. 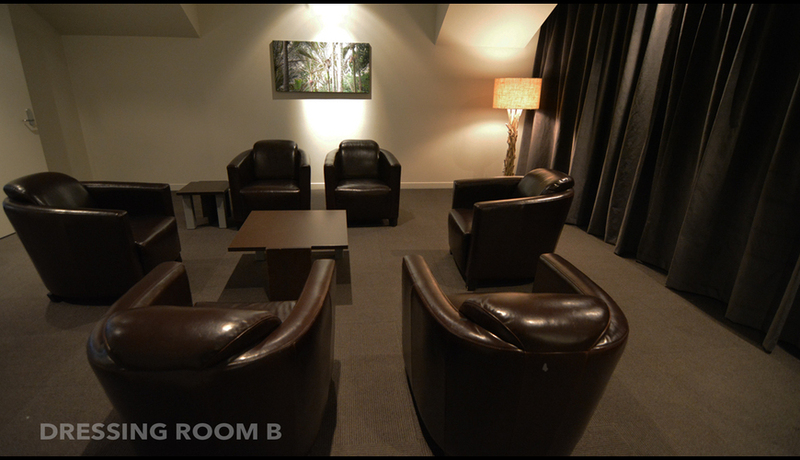 Each room has its own ensuite WC. 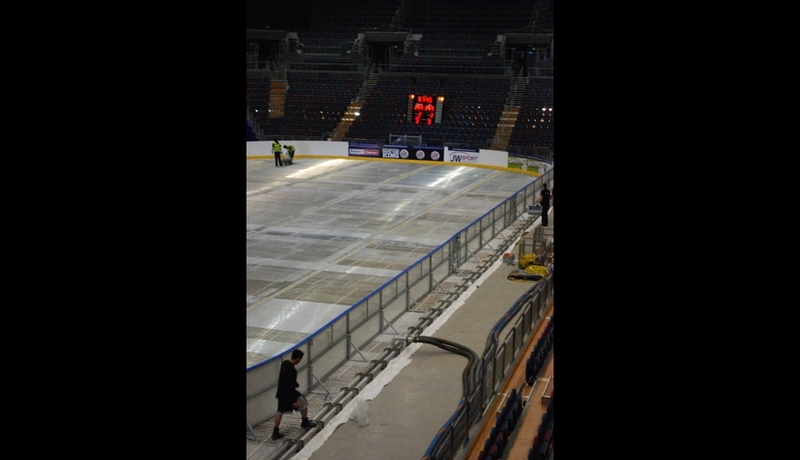 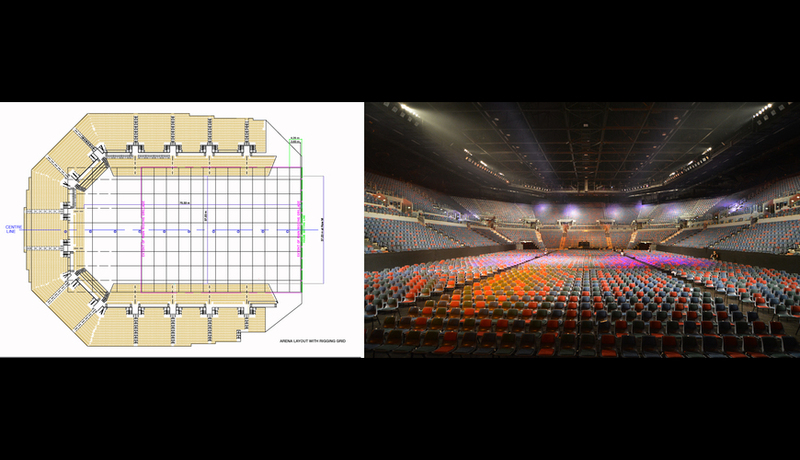 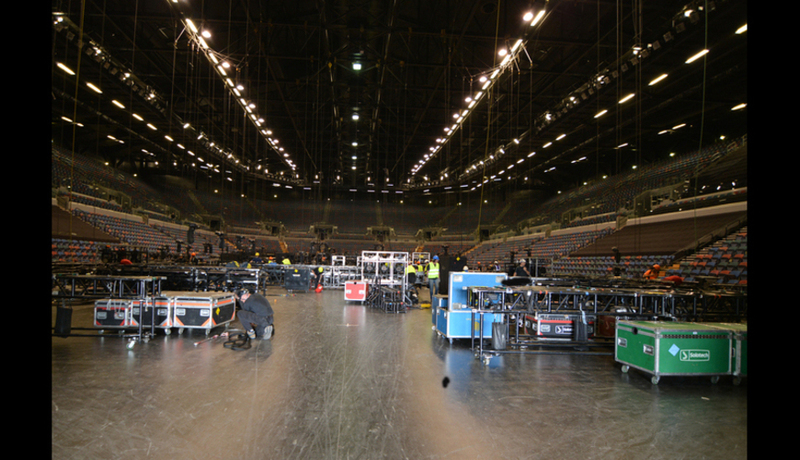 The Mezzanine Suites are behind the stage on the upper floor. 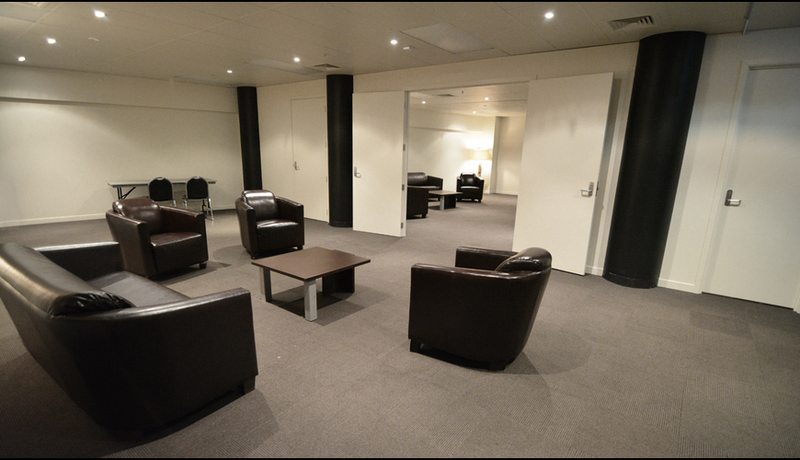 Each room holds up to 40 guests, or combined to create a large space for 80. 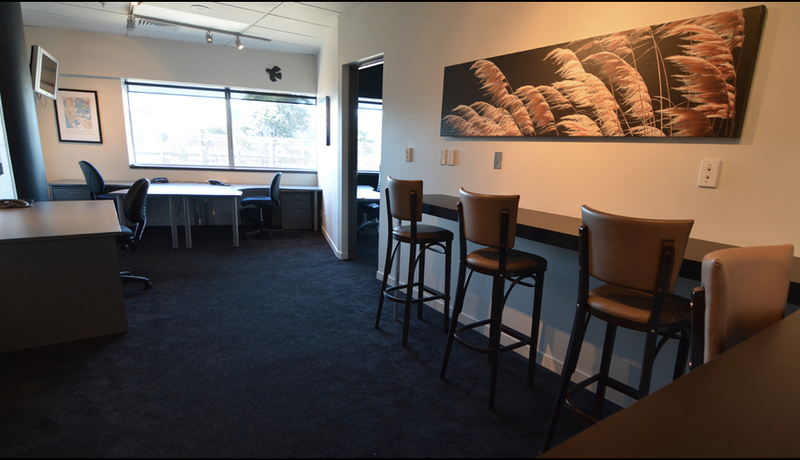 There are 42" plasma TVs and stereo systems in place and a mix of bar tables and stools and lounge style couch/chair areas. 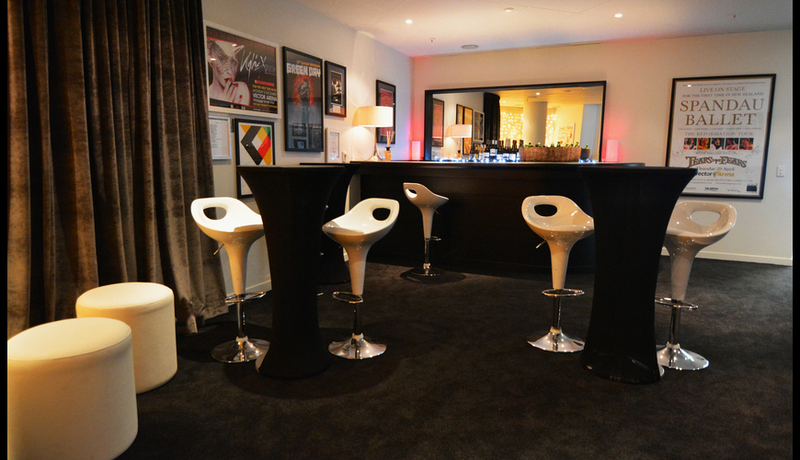 Each suite has two private bathrooms. 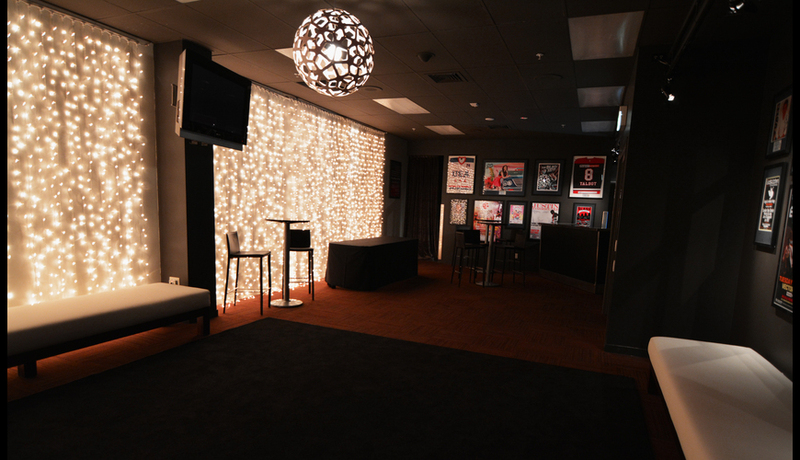 The unique location of these suites gives guests a great VIP, backstage feel as they are escorted along the mezzanine area above the stage to get there. 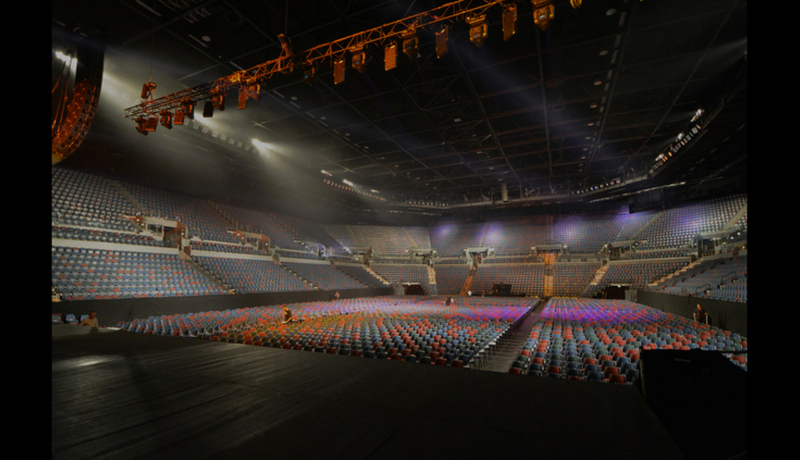 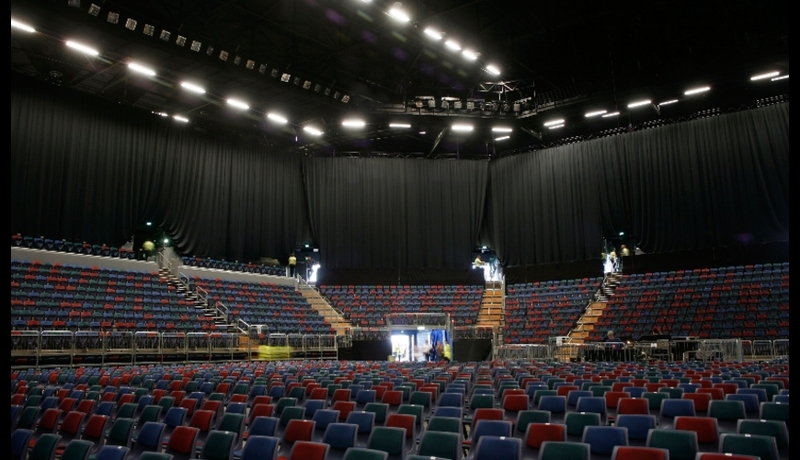 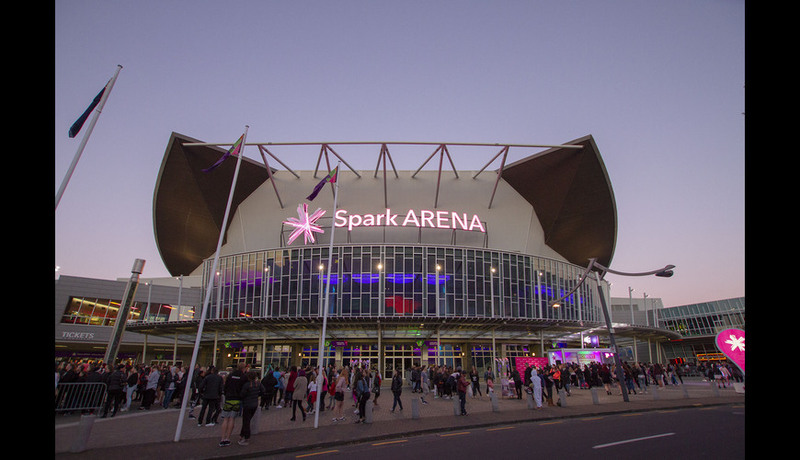 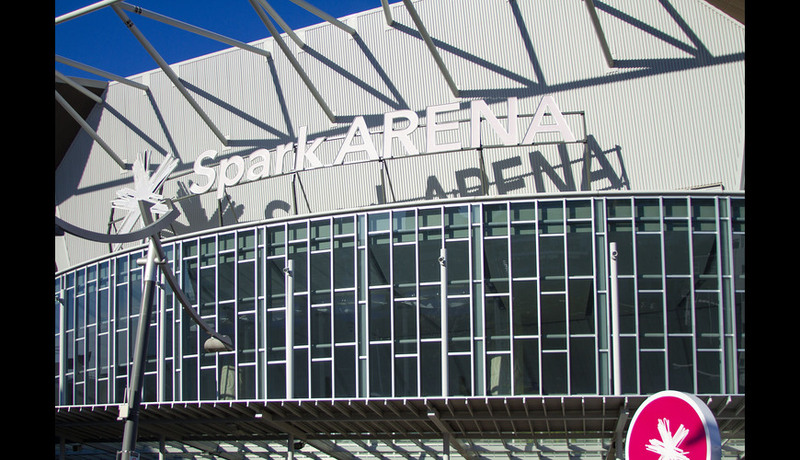 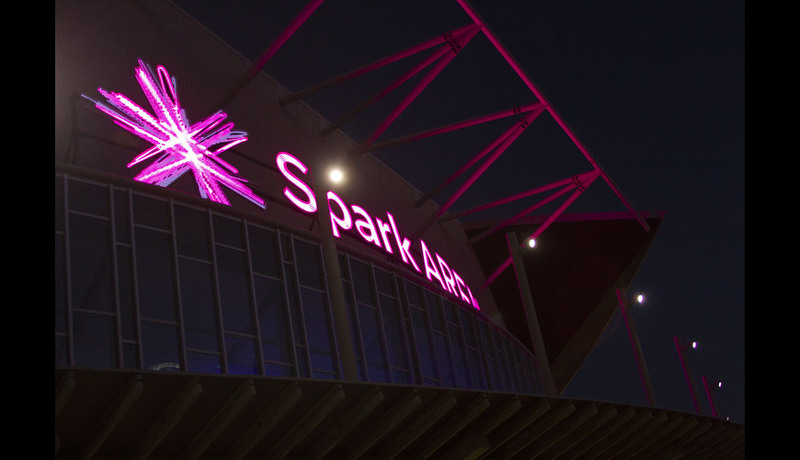 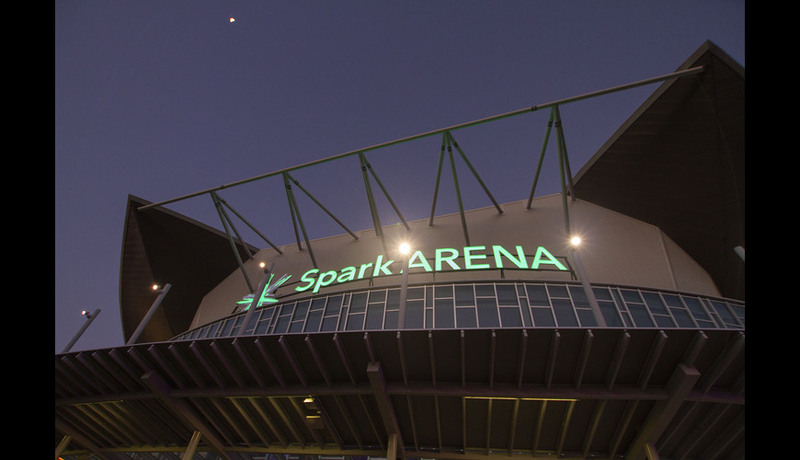 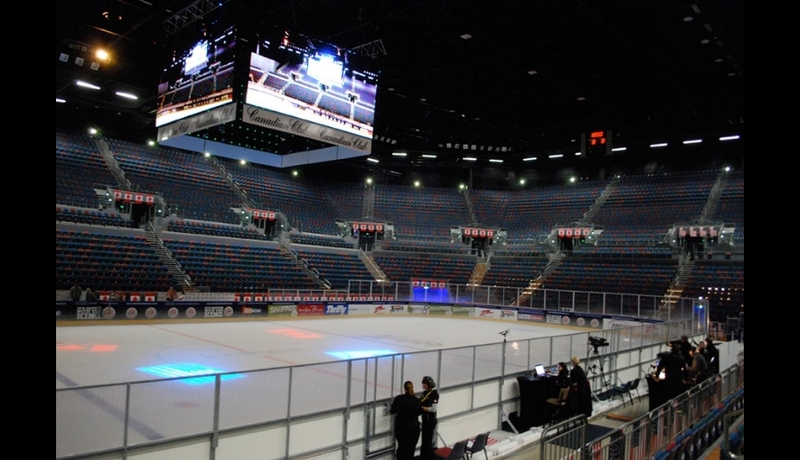 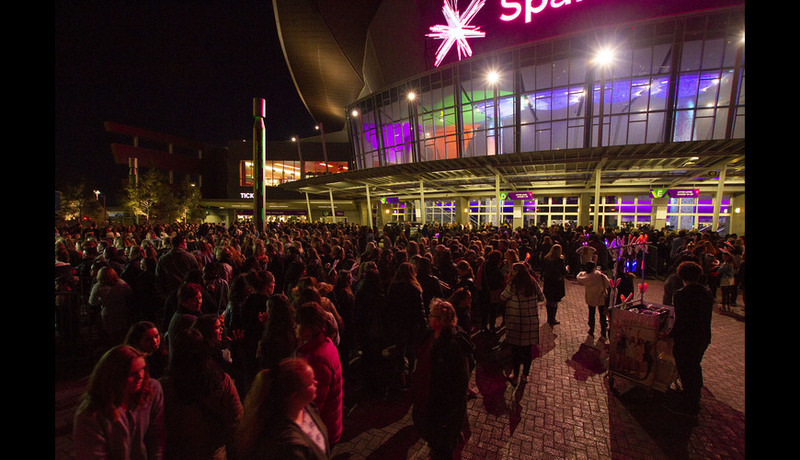 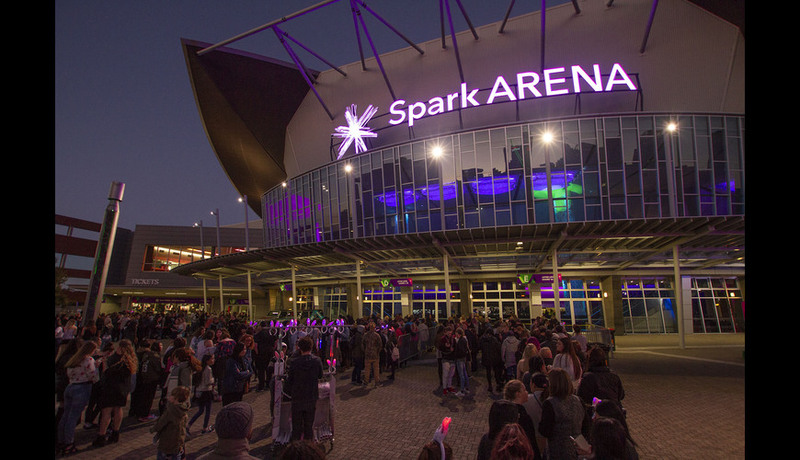 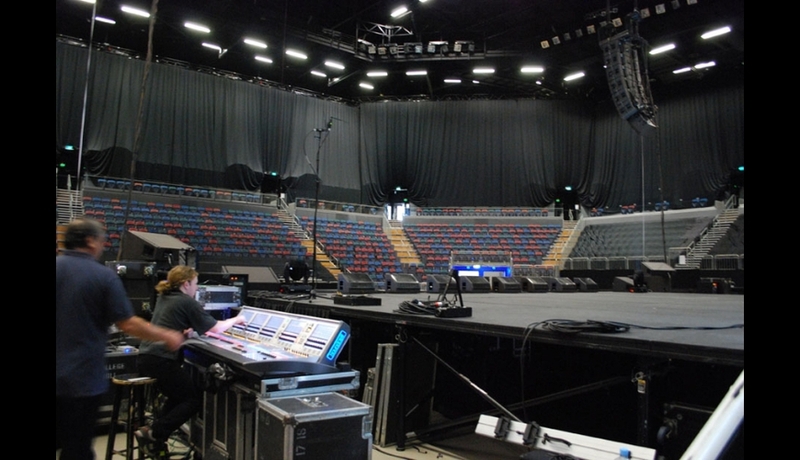 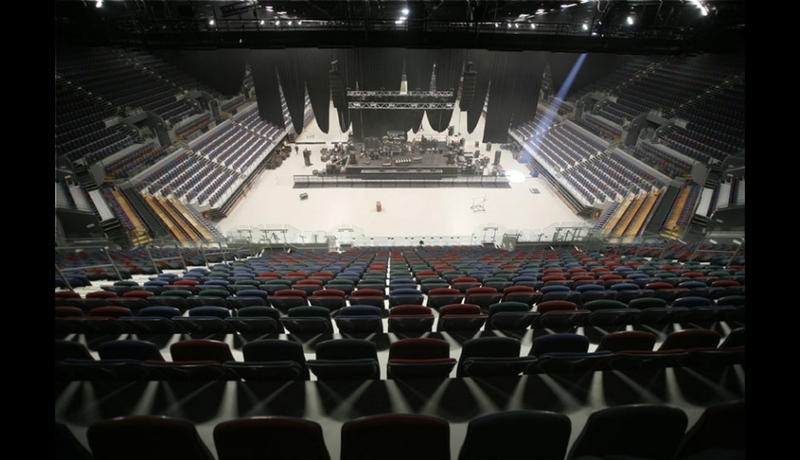 However, due to their location, they are not available for every event at Spark Arena, with access being dependent on the nature of the setup for each specific show. 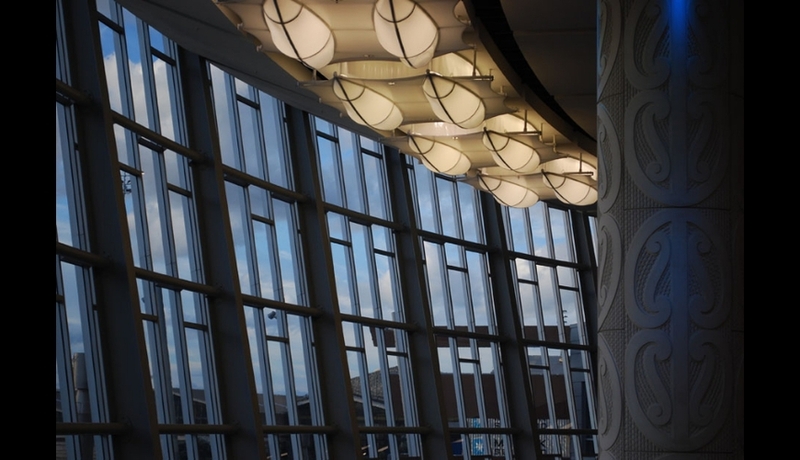 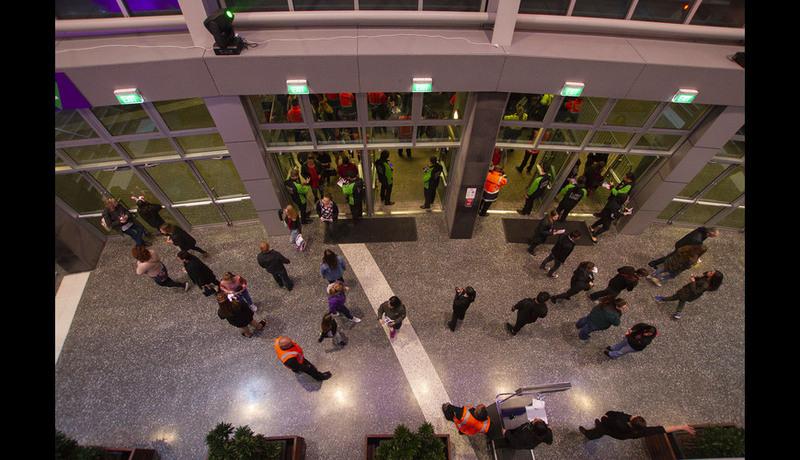 The Lower Atrium is accessed by glass doors directly from our Main Plaza. 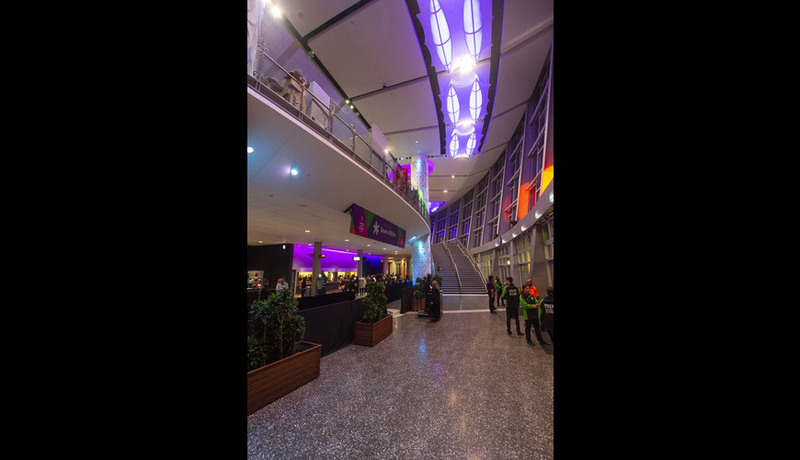 It may be used for a function in its own right, or combined with the Upper Atrium. 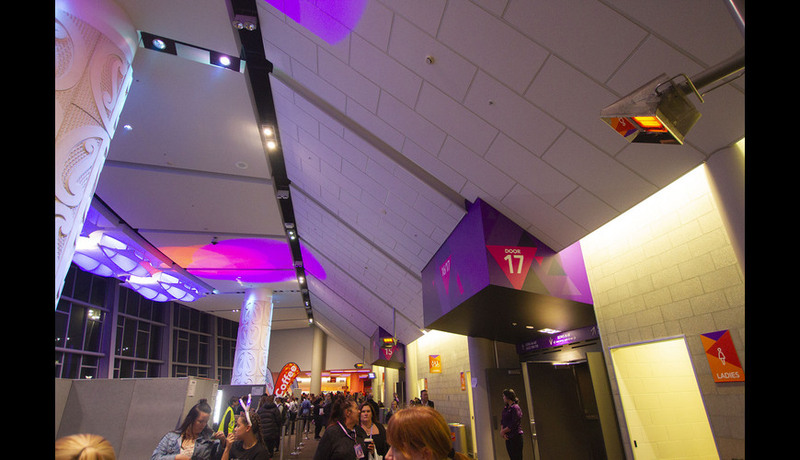 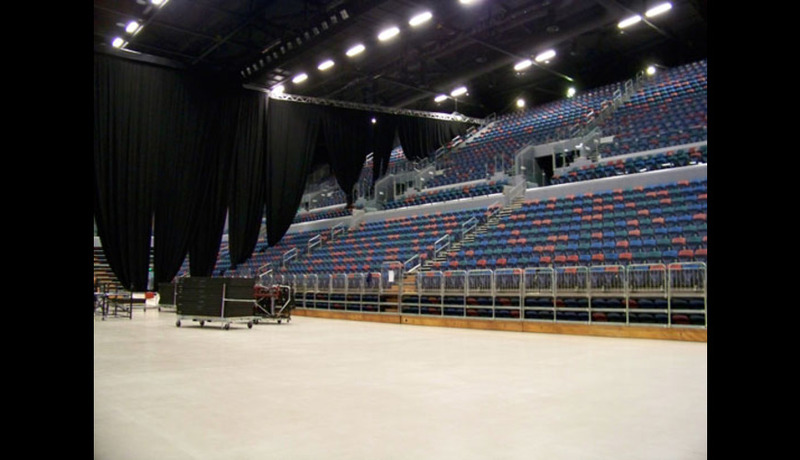 Both spaces can be divided into more intimate spaces, most commonly used for VIP areas for larger events such as international sporting competitions. 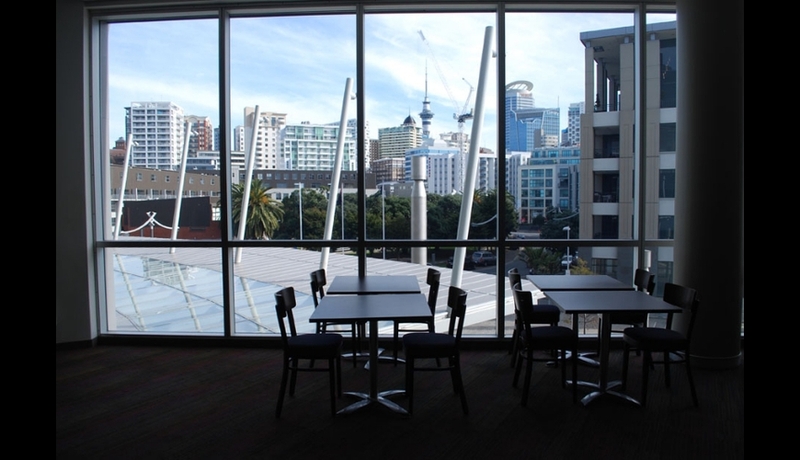 The Upper Atrium a mezzanine floor at the Western end of the building, characterised by a wall of large glass windows with views of Auckland CBD. 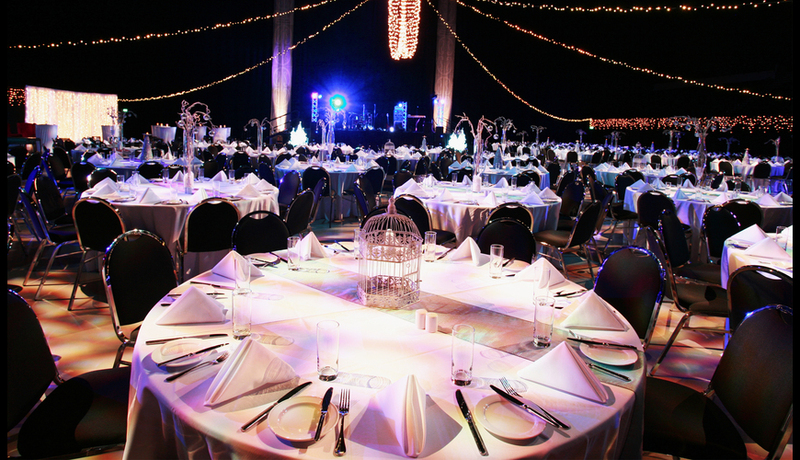 It has been used for cocktail functions and pre-ball receptions. 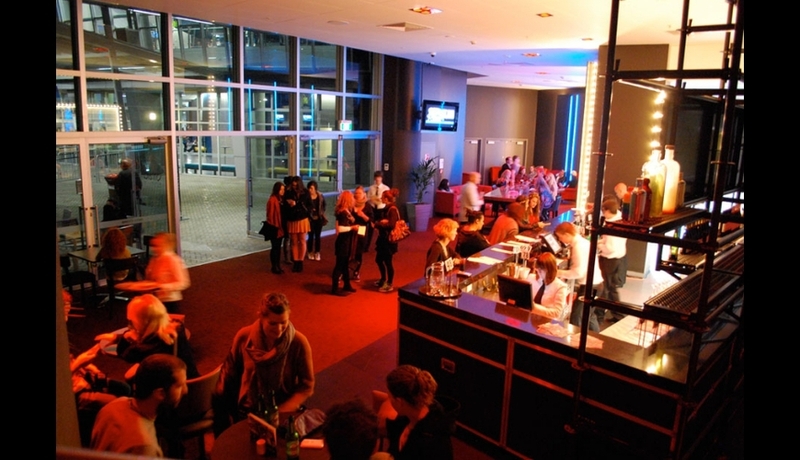 The Tuning Fork is a self-contained events space for hire, comprising a fully licenced bar, kitchens, performance space and an outdoor seating area adjacent to our Main Plaza. 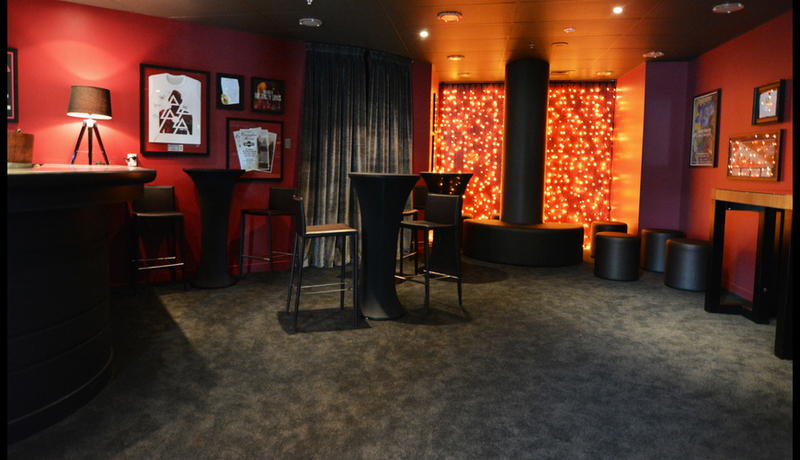 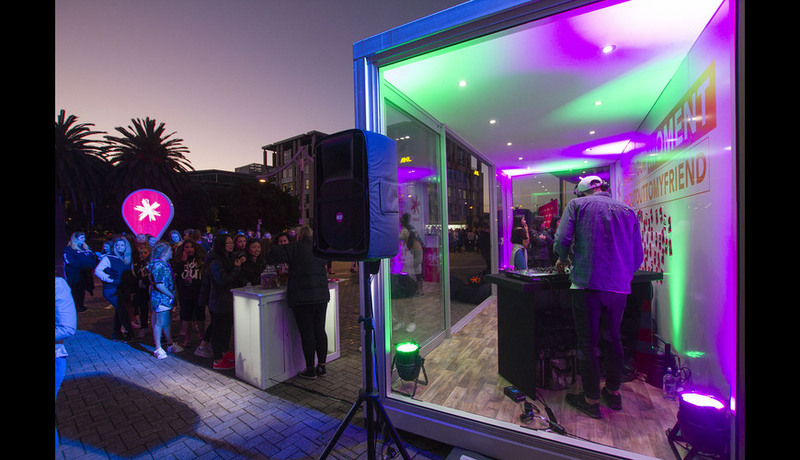 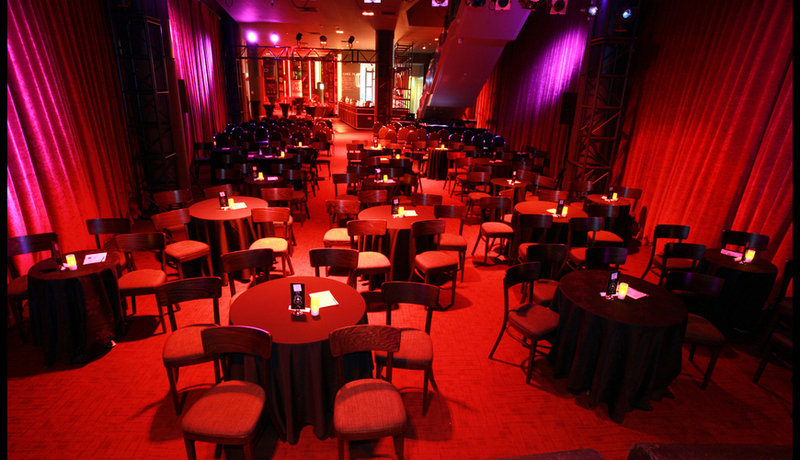 Ideal for private parties, showcases, product launches and concerts. 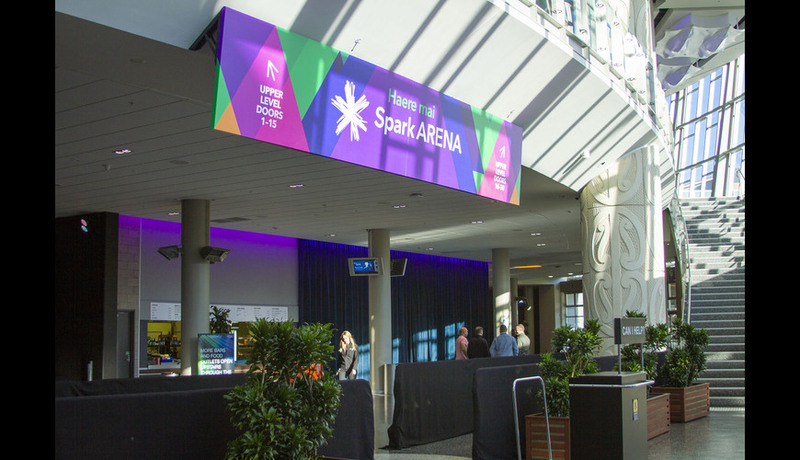 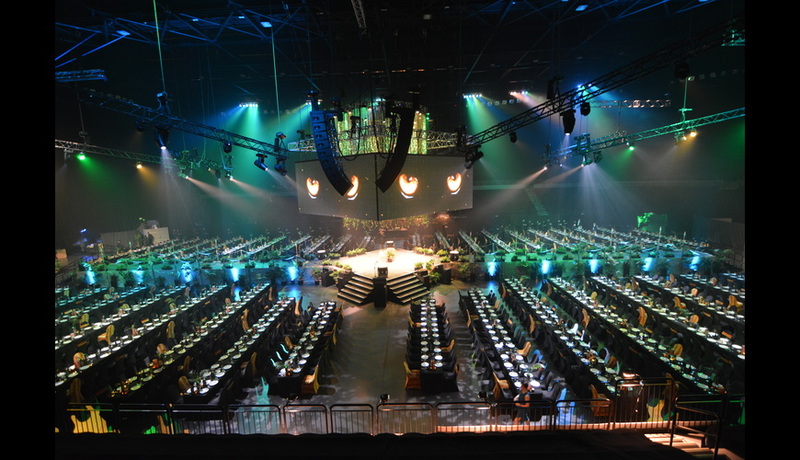 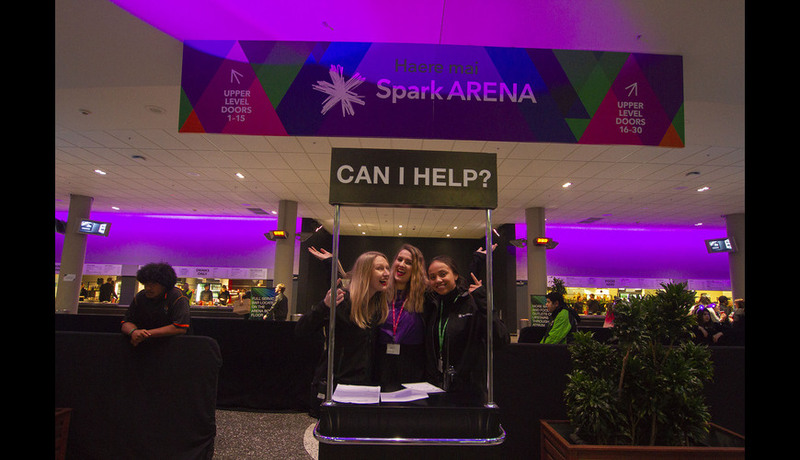 At Spark Arena we understand that you want your event to be something special, and the transformation from concert space to grand banquet room creates a truly impressive setting for your next major event. 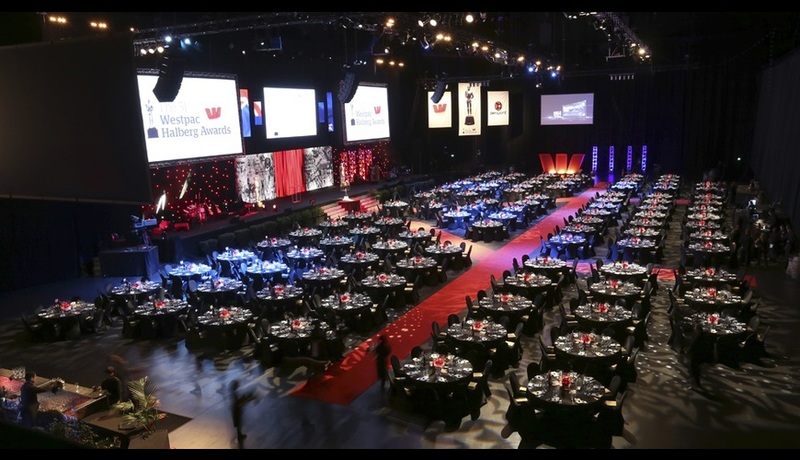 Our large room will comfortably seat up to 1800 people for a banquet, and can be divided by luxurious black drapes or a stunning fairy-light curtain into sections or more intimate spaces to suit a more intimate crowd.